The best way to describe C.Crane’s amazing Gozo radio is to call it a mini-hi-fi boombox. Through a unique combination of robust speaker, passive radiator, tonal shaping and amplifier power (rated at 3.5 watts!) it pumps out a warmth and fullness that belies its small size. Measuring 7.3” x 4.2” x 3.25” and weighing in at 1.5 pounds without batteries it tends to surprise people the first time they hear it. C. Crane’s website is very clear on their design goals with the Gozo. 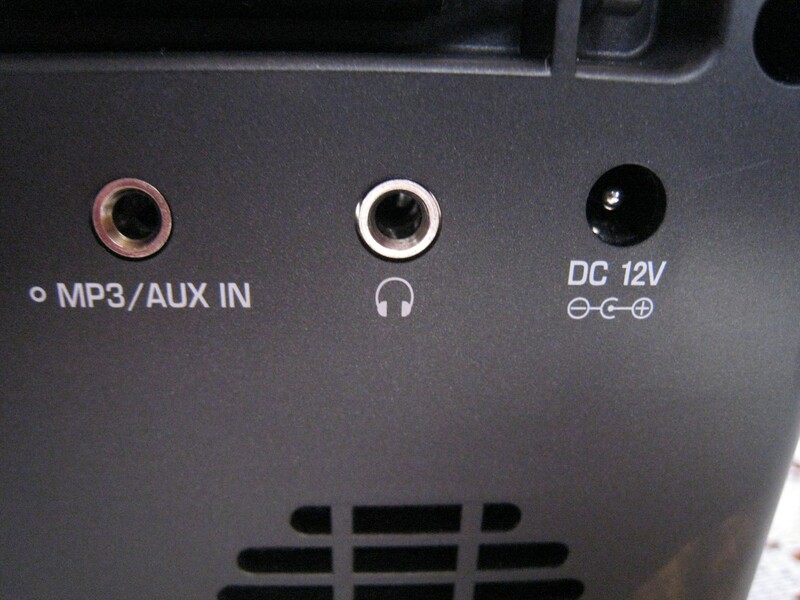 It is not a DXer’s radio with super sensitivity such as the well-known CC Radio-2 and CC Radio-EP. Rather, the Gozo is designed for maximum sound quality for its size when listening to stronger AM/FM stations or to external audio devices through its auxiliary input jack. From their website, “…it does produce some of the best full range audio on AM and FM. Voice replication is clear and precise while delivering natural sounding vocals”. I agree. The Gozo covers the standard AM (520-1710 KHz) and FM (87-108 MHz) bands. It runs on 6) AA cells or the included AC Power Supply…a beefy one rated at 12 volts, 650 ma output…we’ll see why it is so big later in this report. There is a cool-looking circular analog dial which is backlit for 11 seconds after turn on, band changing or tuning functions. There is a 1/8” mini stereo earphone output jack in addition to the stereo aux in mini jack. C. Crane rates battery life for a set of alkaline cells at approximately 12 hours if the radio is played at a moderate volume level…because this radio uses both a powerful amplifier and a good amount of bass boost, battery life is relatively short but is very much affected by volume levels and the amount of bass boost employed. At lower levels and with less bass boost battery life will be longest. Conversely, to try to fill large space at high volumes will eat batteries very fast…use of the AC adapter is therefore recommended whenever possible. USE TESTS: The controls couldn’t be simpler. The front panel features (left to right) an On/Off/Volume knob, a Tone knob (which unlike most single tone controls is actually a bass control rather than a treble control), an Input Selector (FM/AM/Aux) and the illuminated Tuning knob. 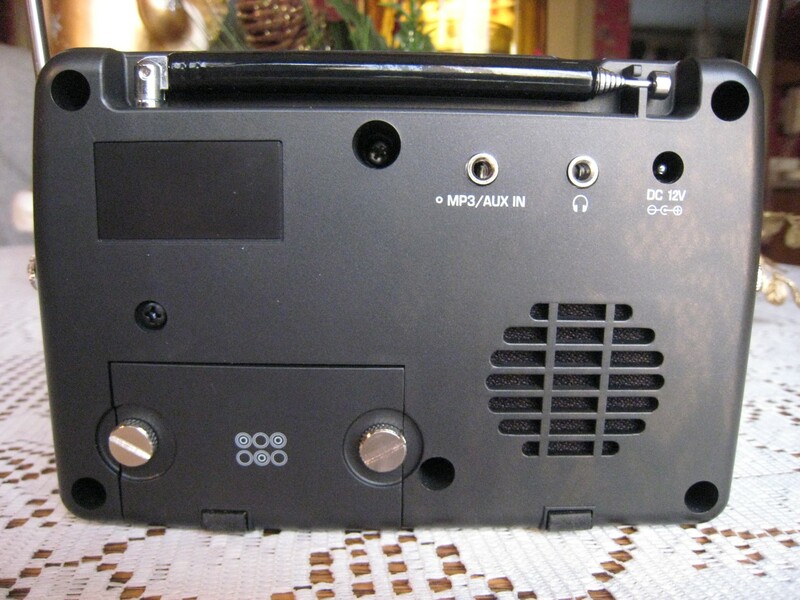 On the back are the battery compartment, the passive radiator (which helps augment the front-mounted active driver’s bass output), a stereo mini jack aux input, stereo mini headphone jack and the DC power input jack. There is also a comfortable handle which can swivel back to prop the radio at an angle if desired. As I said, the Gozo impresses you when you first turn it on…like Wow! Even though I knew this was supposed to be an exceptional sounding radio I was not prepared for how warm and full it sounded. The sound simply surprises you given the small size box it is coming from. Tuning around the FM band the sound is both powerful and authoritative. FM reception is very good…while this is not a super sensitive radio for digging out the weakest of signals, it is nevertheless quite respectable, and even some of the weaker FM signals in my area came in quite perfectly on it. It is also selective enough to separate signals in my suburban location and is actually better on FM overall than several other radios I’ve compared it with. If you like FM, I think you’ll love the Gozo. AM on the other hand was a bit of a disappointment. C.Crane warns that the AM is only for stronger signals and that is accurate. 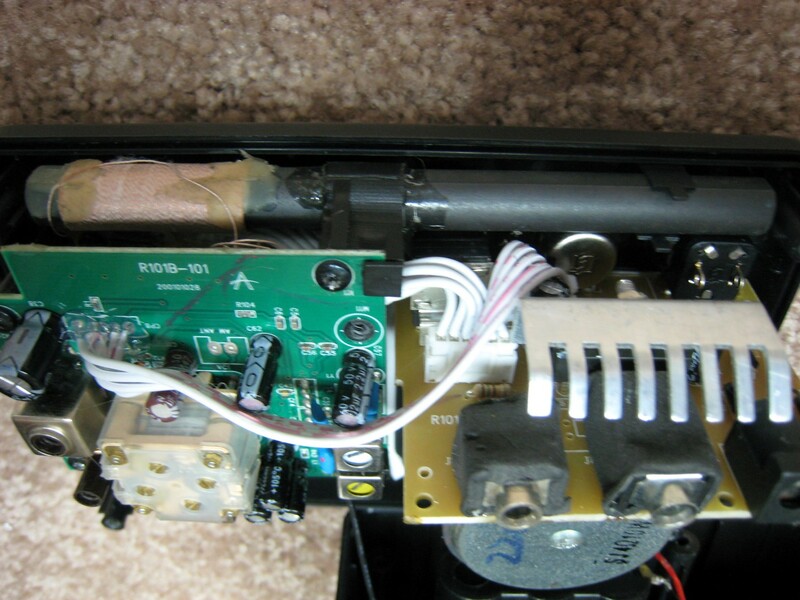 For daytime listening, many of the stations I routinely tune to were noisier than I would like…it is comparable to many of the current crop of inexpensive DSP-equipped AM radios. Even one of the stronger semi-locals had some whines and whistles on it that are not there on better radios. I don’t know if the Gozo uses DSP technology, but its AM performance seems to indicate that it does….DSP is certainly the wave of the future but so far it seems best on FM and SW but not so great on AM. 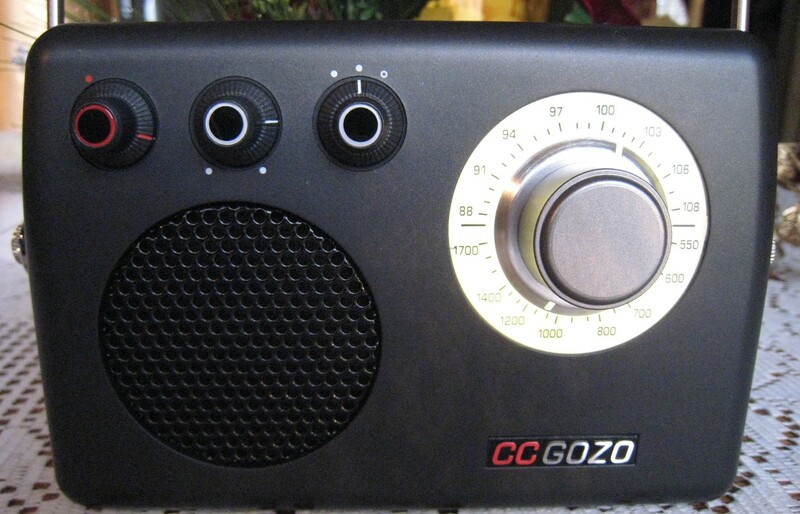 The Gozo does sound great on strong AM signals…for city dwellers and nighttime listening (when most AM signals are stronger) it is adequate, but I could have wished for a slightly better quality AM section in a set which is otherwise so amazing. As an amplified speaker the Gozo is wonderful. It sounds fantastic with my IPOD…if you have any need for an amplified speaker that sounds better than it should for its size the Gozo will not disappoint. Battery Life: As C.Crane states, battery life at average levels is about 12 hours and I can confirm that. While playing the Gozo at fairly loud levels I noticed after a few sessions that the batteries were going. 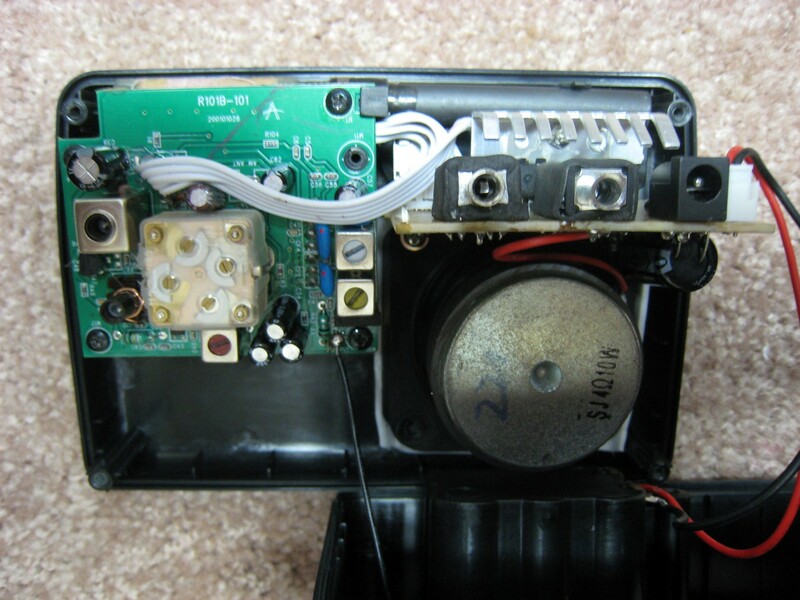 The radio lost the ability to play loudly with heavy bass…cutting back on either the volume or the bass cleared up the sound which was an indication that the battery voltage was dropping. Plugging in the AC adapter gave it an instant shot in the arm…the sound was once again loud and punchy. The Gozo needs a good amount of power in order to get lots of bass out of a small speaker and box…it’s just the laws of physics. In order to move a certain amount of air, a very small radio has to work that much harder and the price you pay is the amount of power consumed. This is not a problem…just something to be aware of. The Gozo should be used with its AC adapter whenever possible, and certainly when you want the most volume and bass in larger spaces and for long periods of time. When you “go portable” on the batteries, your battery life will be inversely proportional to the volume and bass levels you use. While I was evaluating the Gozo we experienced a 7 day power outage here in Connecticut after a freak autumn snowstorm…the Gozo performed yeoman service all week long both as a radio and as an amplified speaker for my IPOD. I loved having it! One minor nit I would pick is the stiffness of the tuning knob… it somewhat resists fast turning, such as when you want to go from one end of a band to another. The feel would be much more deluxe if that could be loosened up a bit. Conclusion: Overall I rate the Gozo as a successful design and a fun radio. The only real shortcoming for me (as an admitted AM junkie) is its less than stellar AM performance. But if you listen primarily to FM (or stronger AM stations) that won’t be a problem at all. And as an amplified speaker the Gozo is without peer in its size and portability class. It really is a mini boombox, and as such, its sound will delight you. It is another one-of-a-kind product from C.Crane and I think that if you have need for such a radio the Gozo will please you.